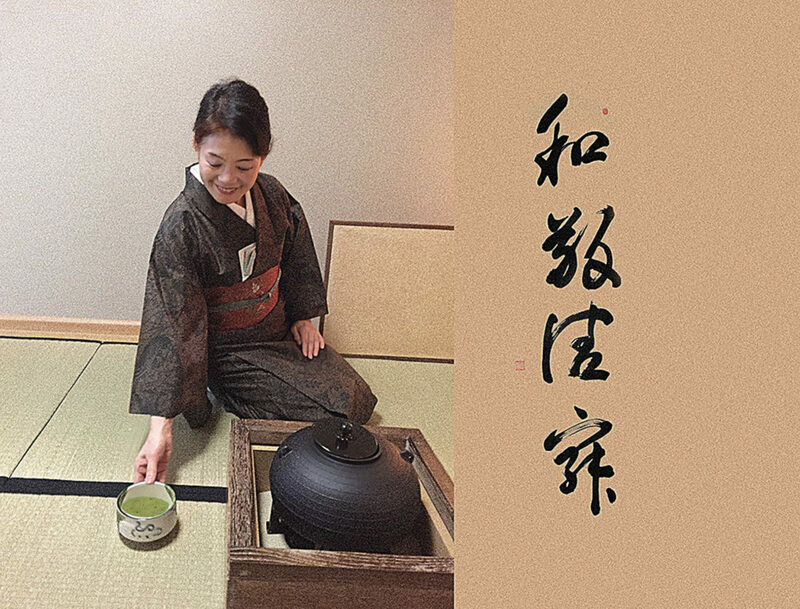 The Chado Society was founded by Junko Ikeda, trained at the Urasenke school of tea in Kyoto. Students meet weekly and often perform at public and private events. A disciplined, fun and dedicated group, new members are always welcomed. Reach out using the form below. And follow us on social media – Facebook and Instagram. 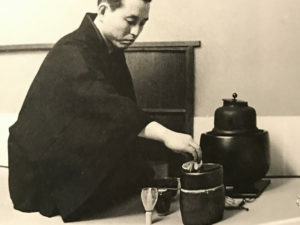 Urasenke Konnichian of Kyoto, Japan has nurtured the rich cultural tradition of chanoyu since the early seventeenth century. 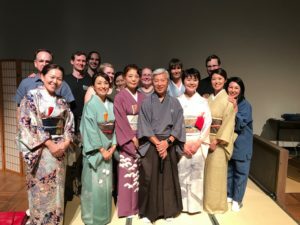 Zabosai Iemoto, sixteenth generation Grand Tea Master of Urasenke, continues the tradition of his father, now retired as Hounsai Genshitsu, Former Grand Tea Master, in fostering international goodwill through cultural exchange. 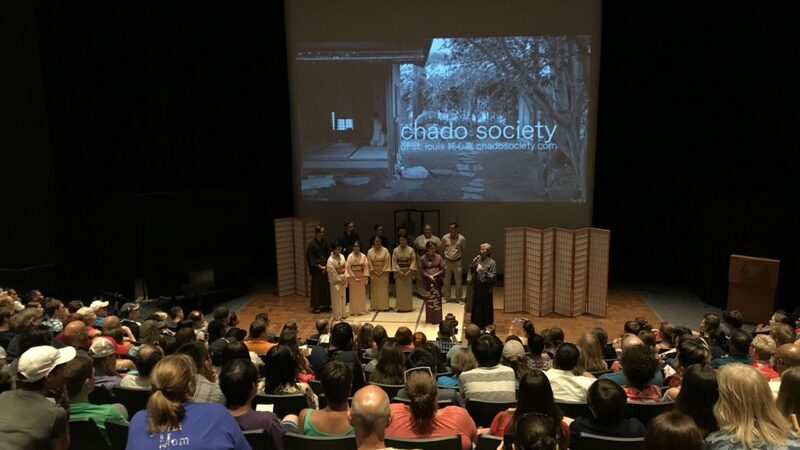 The Chado Society of St. Louis follows Urasenke's teaching. 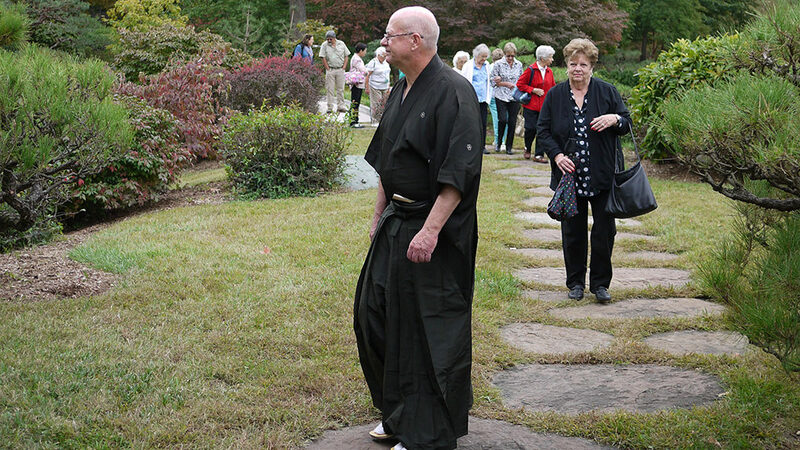 The Missouri Botanical Garden is home to one of the largest Japanese gardens in North American - Seiwa-en. Follow us on social media and on the official calendar to learn when the Chado Society performs next at the tea island. In the meantime, experience the thrill of personal interpretation and discovery in the Garden's serene landscape. Below is our calendar of events and classes. Those open to the public are noted. You do need to register for classes prior. Otherwise, join our mailing list to be notified up upcoming public demonstrations. 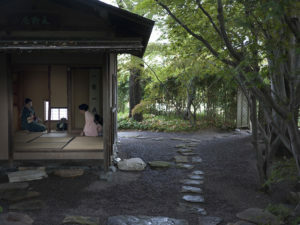 Minami Branch of Urasenke Kyoto, taught by Hayashi Soumi. Contact - all emails shared will be used for tea ceremony updates only.